For something truly special this Valentine’s day, whisk your loved one away for a romantic ski break in Italy. From cosy and intimate to sophisticated and luxurious, here are our top three hotel recommendations for an unforgettable trip. Hotel Ancora is all about elegance and class. It’s located in Cortina, a town in the Southern Alps often referred to as the Pearl of the Dolomites. It was recently voted as one of the best hotels in Italy, and is a masterclass in old-school charm. Built in 1826, it’s distinctive for its intriguing antiques and traditional furniture. Hotel Ancora also has all the modern additions and conveniences you two will need on your Italian getaway, such as TVs and hi-fi in its rooms. If you’d like to celebrate Valentine’s day with dinner à deux, you don’t even need to leave your accommodation. 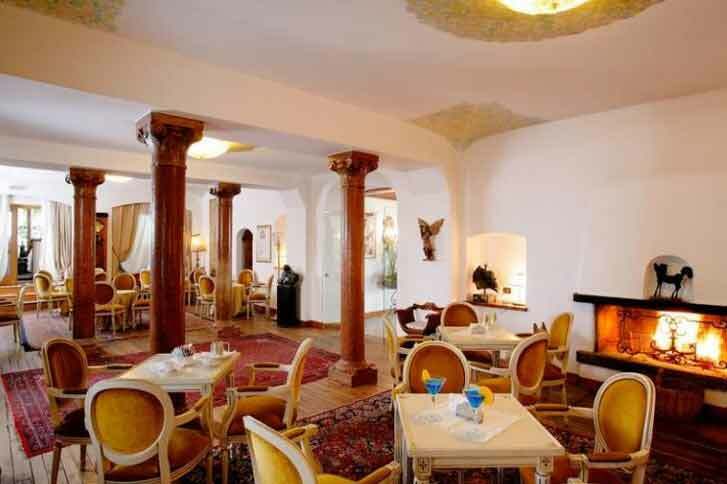 Hotel Ancora is celebrated for its restaurant, with its atmospheric candlelight, vaulted ceilings and international cuisine. The Terrazza Viennese bar, which overlooks the town, is an excellent place to sip a cocktail as the sun goes down. 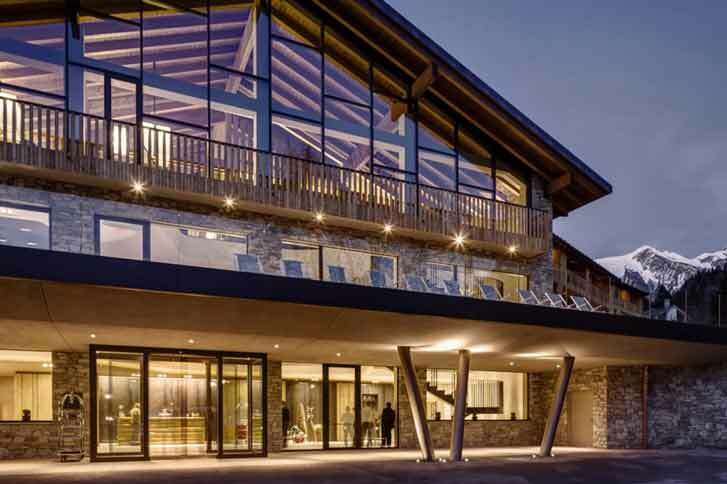 If your partner’s tastes are contemporary and sleek, he or she will love the Grand Hotel Courmayer in Mont Blanc. Conveniently located close to the centre of the town, its backdrop is the majestic Mont Blanc Massif (check it out from the dedicated terrace). The decoration here is modern and minimalist, with just a dash of alpine charm thrown in. Each of the 72 suits is soundproof, with plush and luxurious furnishings. We think this hotel’s facilities make it truly special. Relax those ski-sore muscles in the hot tub at the Elysium Wellness centre, or enjoy a dip in the huge indoor swimming pool. If you’re feeling energetic, why not hit the gym? The food and drink offerings are top-notch, too – from apéritifs at the Lounge Bar Equinox to dinner at the hotel restaurant, La Fourchette, where you can absorb photo-ready views over the mystical Brenva glacier. At Hotel La Perla, each room is decorated in a different style. Expect panoramic views, exposed oak beams and sumptuous furnishings from every single one – an ideal setting for spending quality time with the special person in your life. This hotel has many areas where you can both relax and unwind after a long day on the slopes. First, check out the Old House, which dates back to 1400, and where you’ll find live music entertainment. Next, head to the Fireside Lounge to chill out with a book and a hot chocolate next to a real log fire. If you’re in the mood to spoil yourselves, check out the health and wellness facilities and indulge in a facial or massage. 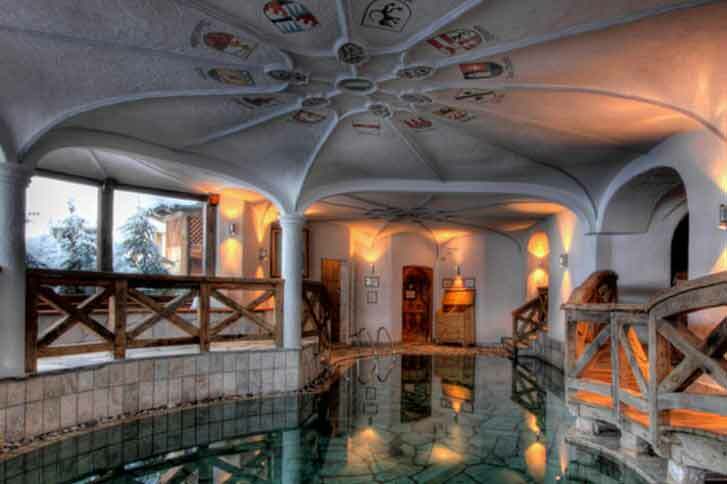 You’ll also find a Turkish bath in the form of an igloo and two Finnish saunas. Your muscles will thank you, and you’ll both go home feeling more energised than ever.